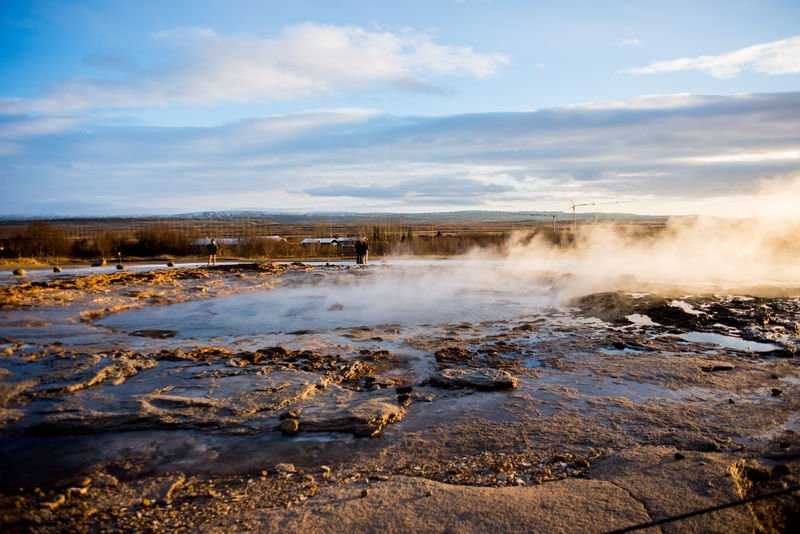 While driving on Golden Circle Route of Iceland, another popular attraction or stop over is to watch out for Geysirs. The hot springs are located to the east of a little mountain called Laugafell. 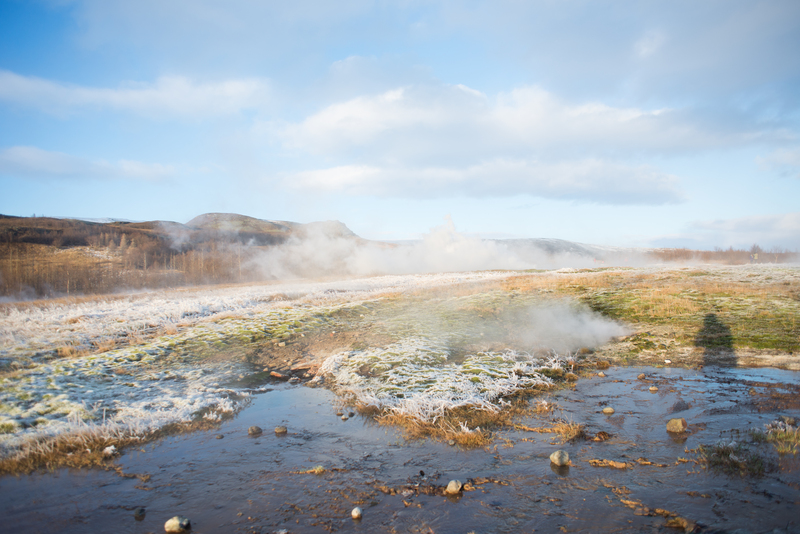 This place is another wonder of nature where in you see huge springs spurting out of earth, roaring into steam and then disappearing into air. 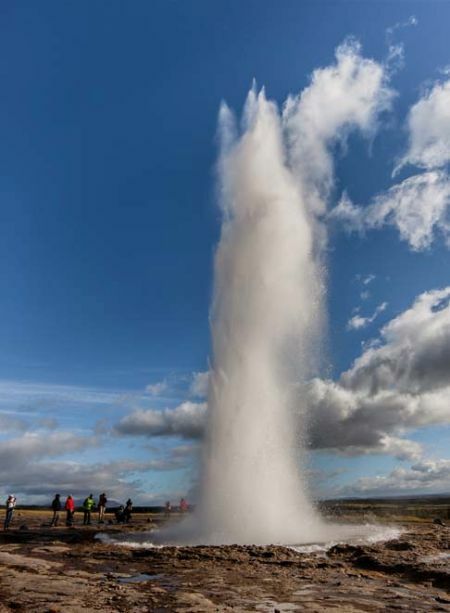 Strokkur (the churn) is currently the most energetic spouting spring in Iceland. It spouts every few minutes, sometimes to a height of 40 m, yet generally less than 10-20 m.